First, teaching English to international, non-native speakers at CUNY Queens College, in my home country. 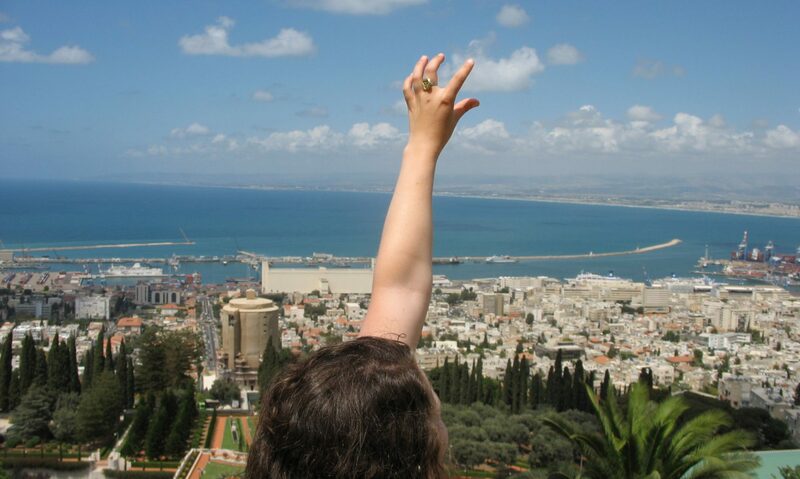 Second, learning a foreign language (Hebrew) abroad, in Israel. Third, teaching English (and learning another foreign language – Czech!) abroad in the cultural context of my Czech students and in full immersion mode. Here’s what that looks like, language faux pas-style. After a few seconds, I had to tell him sadly no. That in English it’s a matter of context, and beyond that, intuition. ESL students always ask the tough questions—and so constantly force me to reevaluate my native language. I had never thought about the “hot” conundrum before, but for him, a Subway employee, it was all too relevant. It was so inspiring for me to work with non-native English speakers. I had always loved languages – as a child, I was an avid reader and certified vocabulary and spelling nerd. I had gotten 100% on most of my weekly spelling tests in elementary school and gotten to the regional round of a New York spelling bee when I was 13. I had learned the Hebrew alphabet in an after school program, and I was at the top of my class in high school Spanish. Here I am with my friend Jess at an end-of-year literary costume party. I’ll give you three guesses who I am. I went to study in Israel in 2012, after formally taking (I think) two semesters of Hebrew class, in search of my opportunity to live a foreign language. *Unfortunately* for me, many Israelis – specifically those in university – speak English fluently. Now, if you’ve ever tried to learn a language seriously, you know that in your nervousness you will look for any excuse just to speak your own native language. So while my reading and understanding skills in Hebrew improved, my speaking skills did not, although I did try speaking in any situation when there weren’t English speakers around or whenever I was anonymous. One lovely, warm weekend I traveled to Tel Aviv. I sat down in a nice, outdoor café to have a cappuccino, as I am wont to do, and I tried to order in Hebrew using some “command form” terms we had learned that week. Here’s how it went down. Server (in Hebrew): Hi, what would you like? Server (in English): Are you American? Me: Um, yeah. Was it that obvious? I then profusely apologized when I realized how rude I had been (at least I’d said please? ), and we ended up having a nice conversation. I’m 87% sure he did not spit in my cappuccino. Here’s the point: It’s important to make effort in a new language, keeping in mind that you will make mistakes, you will embarrass yourself, and usually you will be forgiven since everyone understands you are sincerely learning/a foreigner/trying your best. It’s not easy, at all. But there are very few people who don’t appreciate you attempting to communicate in their native language when you’re just a traveler in their homeland. Did you know mind control is a common therapeutic method in former Soviet bloc countries? The first time, I was a bit shocked. Even after so long, I still have to smile. A typical Czech pharmacy. Via Lekarna pro zdravi. I’m a native speaker of Czech, and moved to Canada when I was 8 years old. I was walking with my mother, speaking in Czech since she did not yet speak English well enough to not be embarased and as I was buying some gloves in a department store, I said something about the gloves to my mother. Standing next to us was a nice middle aged English lady, who actually stepped back two paces and looked shocked at my mother, as my mother replied in Czech, as we are want to do, when saying the equivalent of “is that right. My very cultured looking Mother replied to me, for all to hear – Fakt? Which of course sound exactly like a common English phrase expected only from vulgar teens., not spoken loudly to children. Her: “We don’t sell sheep. I’ve NEVER forgotten how close sheep and fruit are in Czech thanks to that incident. The classic faux pas for guys in Czech is kalhoty and kalhotky. Next Czenglish Debate: What Is Bread, Really?